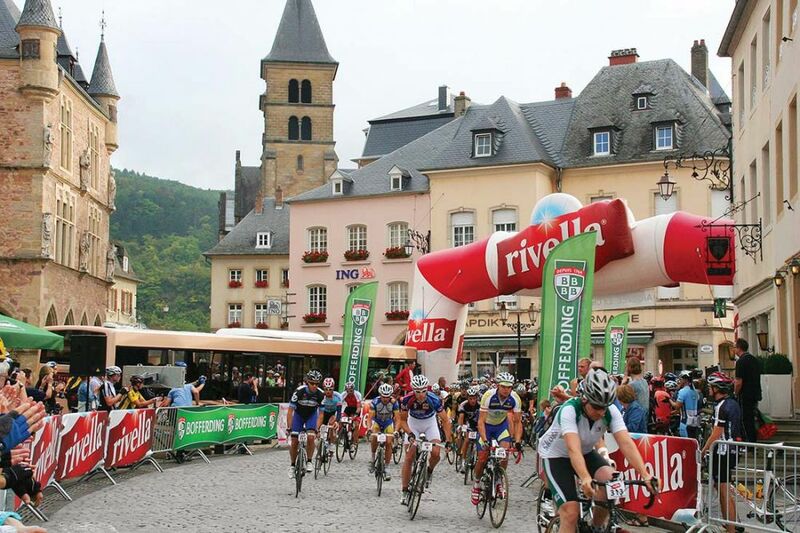 This 105-km-long tour, known by the Charly Gaul race, with numerous long and short climbs is quite demanding. It is almost identical to the Charly Gaul A, but shorter and without passing through the Luxembourgish Ardennes which does not make it less stressful though. The first part behind Echternach is leading up. Behind Larochette, the tour leads through the valley of the White Ernz into the western part of the region where it offers nice views on quiet country roads. Back in Larochette again, you may take a break before attacking the second half of the tour. Over Consdorf, Christnach, Bech and several idyllic smaller villages, you get to the last part of the tour and along the river Sûre back to Echternach. If you manage this tour, you are definitely fit enough to take part at the Charly Gaul race!